Master Gardener Harvey Rogers received a Spirit of Marin Award at the 19th Annual Spirit of Marin Awards Luncheon in San Rafael on September 28, 2012. 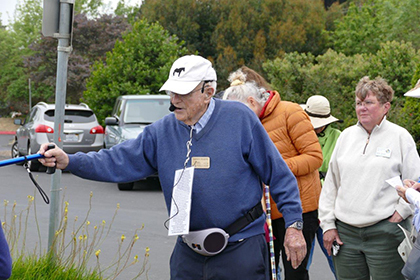 Rogers, who recieved his award as Volunteer of the Year, helped create the native plant garden at Blackie's Pasture at the entrance to the Tiburon Multi-use Path. 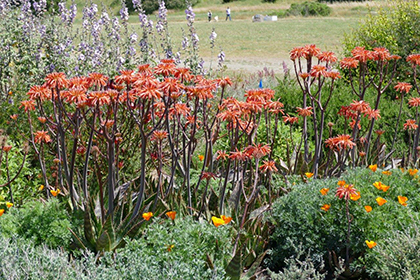 He partners with the Foundation, Master Gardeners in Marin, and the Town of Tiburon to maintain the garden. In the early 1990’s the entrance to Blackie’s Pasture was a mud hole in winter and a dust bowl in summer. It was pretty much an informal parking lot for people who came to walk by the Bay. A group of volunteer townspeople who called themselves Blackie’s Brigade had the idea of turning the area into a grand park, but each time the plan was submitted to the town, it was turned down due to lack of funds. 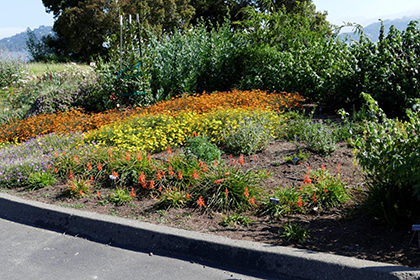 The Tiburon Peninsula Foundation raised some funds to create Blackie’s Garden — which has since been renamed Harvey's Garden — a landscaped beautification project at the entrance to the Blackie’s Pasture by the multi-use path. Volunteers from Tiburon and Belvedere pitched in to help. One volunteer offered to donate some plants. Another plowed the ground. Someone else brought a load of compost. Blackie’s Garden was on the way to becoming a reality. 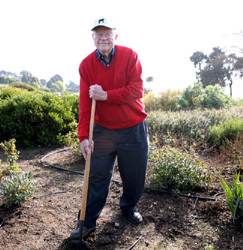 In 1995 Harvey Rogers, a local Master Gardener, caught wind of the project and expressed interest in helping. It wasn’t long before he’d organized a band of volunteers comprised of other Master Gardeners, gardening enthusiasts, and good hearted people who wanted to pitch in and help. 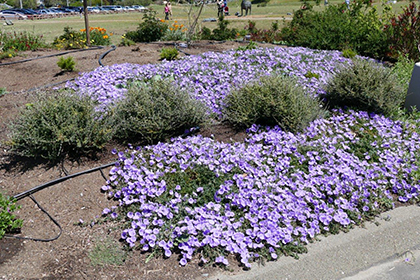 Taking the natural environment and water conservation in mind, they developed a theme for the garden that utilized native plants. Over the years this group of volunteers has given the garden their creativity, regular and ongoing care, and loving attention. In 1997 a bronze plaque was placed in the garden honoring major donors and significant volunteers. 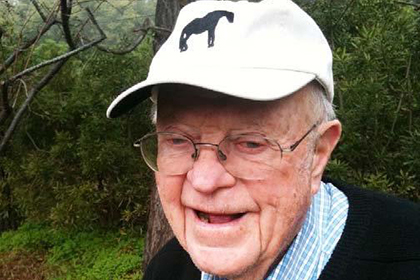 Harvey Rogers, founder and Steward for Harveys Garden in Blackies Pasture. 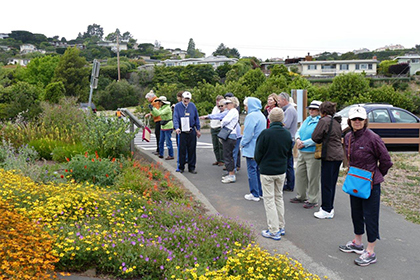 In early May, 40 Master Gardeners toured the garden with Harvey. The Garden has never looked better! 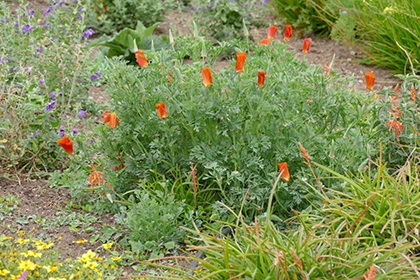 Over 2,500 native plants are in the garden, offering a variety of colors and long bloom times. 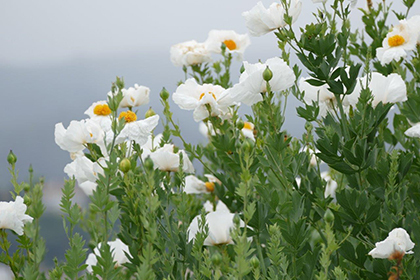 Plants are chosen because they are native, deer resistant, drought resistant, have a long blooming period, display colorful blooms, are of an appropriate size, and love sun (there is no shade!). A good water management irrigation system has been put in place. 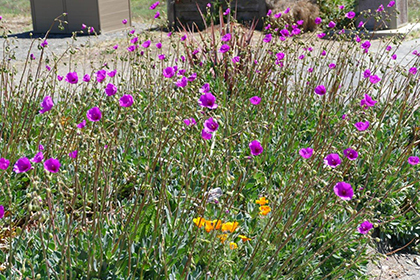 Most of the plants are drought tolerant. Some need no summer water! In the hot months we need to supplement the drip system with volunteers who water once a week by hose. 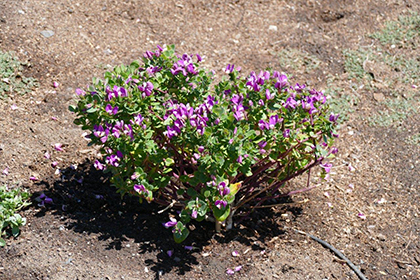 We weed frequently (by hand), although mostly during the rainy season. 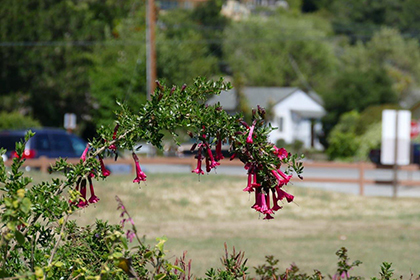 This is all volunteer work – about 80% Marin Master Gardeners and 20% interested citizens of Belvedere and Tiburon.